1/2 in. wide adjustable Aluminum band. hammered texture. 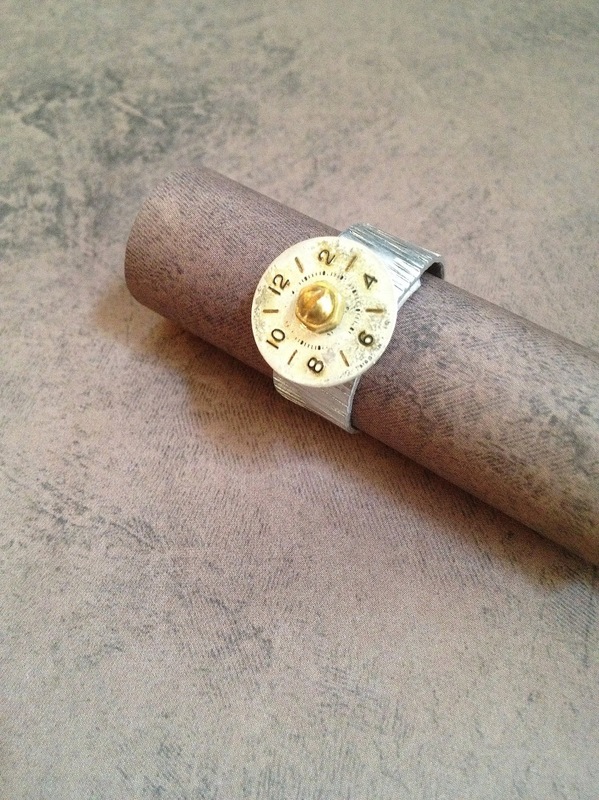 Riveted vintage watch face will be very similar to original photo.